Send us your logo and designs in AI file. We would adjust it on our templates. Or you could also download the templates on our website and design yourself. Generally it would take around 3 business days. We would take high resolution photos for you to view which would make a cycle time reduction. Generally it would take about 10-15 business days. Once you have approved the sample, we would prepare to start the mass production. 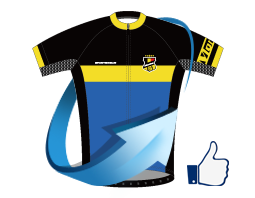 Monton Sports is a sportswear brand focused on road bike racing clothing and accessories started in 2009 with headquarters in Guangzhou, China. With our own factory, we offer OEM and ODM service for other big brands as well. 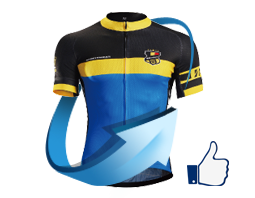 In the past 8 years, we have sponsored various UCI continental teams to get professional feedback like S.E.P San Juan in Argentina,TSG in Malaysia, Dukla Banská Bystrica cycling team in Slovakia and RTS-Monton in Taiwan. Monton Sports is the exclusive cycling clothing sponsor of Tour of China for 2016 and 2017 consecutively. © 2018 Monton Sports Official. All Rights Reserved.